Totally Icky : Rant Day#15 - £200 food or £20 food? Rant Day#15 - £200 food or £20 food? Now you must be thinking? Gurl why she talking about food? Well sweetie lemme tell ya! 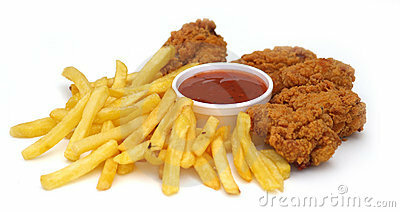 I am ranting about restaurant food cause I know they are so many problems with them and plus I'm a bit hungry. The Name So Big It Twerking. Everyone knows this is an issue. All that fancy stuff is nothing. Okay. They are just serving a shell stuffed with mayonnaise and a few lettuce leaves. The mayonnaise was not produced any differently unless they sprinkled holy water or something. The lettuce was grown the exact same way as others. On a farm, where slugs and bugs crawled all over them. So when you see that fancy wording on your menu it is translation for lettuce. Don't go and say a lovely side of green, freshly, cut leaves exported from the finest farms in Paris. We call it Letutut. All they did was spray the ketchup in lines instead of leaving it in a blob. There's no need to hype up your food nothing will change! Other than fact I won't pick it because now I know there is something healthy in there! The sizes are so unrealistic. I came here to eat. Not starve to death. I don't wanna be able to count my strings, I shouldn't even be able to see half of them because the plate is meant to be full. So we get let's say 5 strings and I asked for bread, not a chocolate chip. I think they do this on purpose. Don't tell me you're doing this for presentation cause you can do a lot of things with more than 5 strings, okeh! Presentation doesn't mean starving us. They do this so we order more like puh-lease. Is it that you ran out of food and now you gotta start rationing? If so not with me. So the waiter said I owe £200. She said you ate so much food. Where did you see me eat that much? The prices are just unspeakable. But when you tell me to pay more than £25 on a meal that didn't even fill me up. Like seriously? I ate that WHOLE chicken (which was actually bits picked off the bone) in one bite. And that bite just dissolved somewhere else. I'm not full, I will not pay money for something that didn't exists. All you restaurants need to shape up. Or ship out. Cause mama ain't paying £200 for this. When I can pay £2 for this. I've only been to a few fancy restaurants in my lifetime and that's because I don't think they're worth it. Some people like all that fancy stuff and some don't. Yeah the food might taste 'great' but what's the difference between McDonald and Mc Laurens? Netflix AND Chill Really Means NETFLIX AND CHILL.